Are you interested in seeing three top DC female entrepreneurs pitch their ideas to a panel of funders, and compete for the $20,000 grand prize? Come join UWIB at our next philanthropy event, where we'll help The Vinetta Project usher and facilitate the Final Round of their live business pitch competition, complete with a food and wine reception. 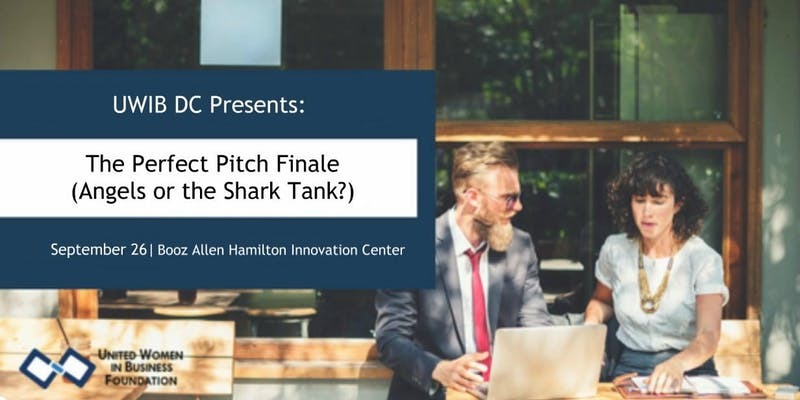 Volunteers will have the opportunity to see the top three finalists from the previous rounds present their polished ideas to a panel of curated angel funders. At the end of the showcase, one lucky female founder will be awarded the $20,000 grand prize. After the event, volunteers are invited to a sponsored happy hour at the glamorous Pennsylvania 6 to network with the The Vinetta Project's successful community of founders and venture capitalists. Join us for this one-of-a-kind event, and take advantage of the opportunity to see woman business owners pitch live, while meeting some of DC's rising star female entrepreneurs, leading investors, and other community influencers!